For a successful romance it is critical that you find the right person at the right time. Timing is everything. Yet, rarely is the timing perfect… Welcome to my world of laughter, suspense, and romance. Buy all of Annette Louise’s books in print edition online from Barnes & Nobel and Amazon. Ebook from Kindle, Nook, Fictionwise, Smashwords, and LS. Available on the shelf at some bookstores and libraries. A romantic suspense from Highland Press. Hank’s timing is a little off . . . US Marshal, Hank, has tracked a vicious murderer across the country. He is determined to get this man. Nothing is going to stand in his way or distract him from his goal. Nothing, except for a beautiful young woman in men’s pants and plaid shirts, who has an uncanny knack for attracting trouble with no regard for her own safety. Having carved a place for herself among the men of Rushton that’s as comfortable as her pants and boots, Jessy Cooper is completely happy with this unusual lifestyle until she acquires information that no one in Rushton should have known. She then finds herself with big problems in the form of one very large, very handsome, US Marshal. He wants answers only she can give him, but if she tells him everything he demands to know, she risks losing the only man who reminds her in ways not so subtle, that deep down, Jessy is all woman. Most women would be envious of Miranda. She has two mysterious men ‘hot’ enough to melt chocolate single-mindedly pursuing her. However, most women wouldn’t want her problems. She’s a small town girl, hiding in Las Vegas with the hope of blending in and concealing from her family her recently developed and unpredictable powers. This plan works amazingly—if somewhat unflatteringly well—until the two new men, with hidden agendas, throw her world off balance. One wants to save humanity. The other wants to rule it. Both sides wish to join with her to command the powers she contains to change the course of the battle quietly raging just beyond the notice of the general population. But Miranda has plans of her own and she is about to change the rules of the game. Power such as this, has never been so seductive. A short story in a Christmas anthology titled Christmas Kisses from Highland Press. Can be purchased separately as an ebook. A short story in a Christmas anthology titled Every Christmas Wish from Highland Press composed of all stories from Annette Louise. A short story in a Christmas anthology from Highland Press titled Christmas is in the Air. Can be purchased separately as an ebook. Ms. Holly is a four year veteran teacher of first grade students. She’s tough. She can handle it all…right up until one sweet little girl asks Santa for nothing but chapstick for Christmas. Concerned that Sophie won’t have a good Christmas, Holly takes matters into her own hands and plays Santa’s helper. 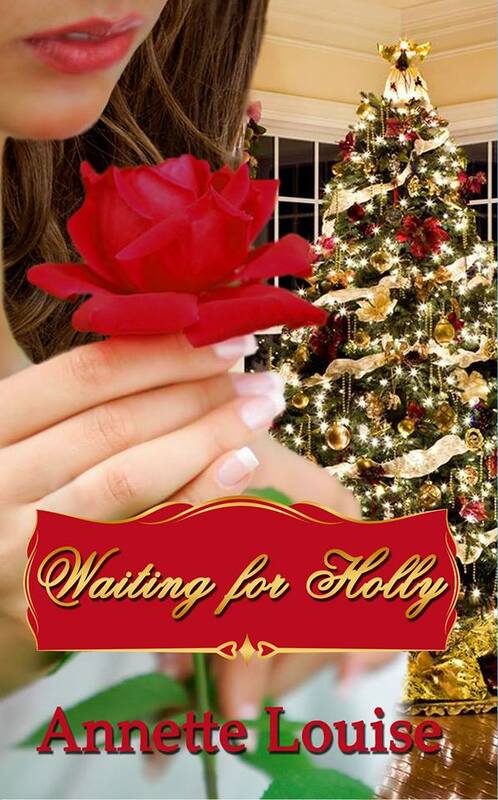 When Holly meets Sophie’s dad, things become complicated, because Mr. Brandt doesn’t think Ms. Holly will have a good Christmas…without him in it. A short story in a Christmas anthology titled: All I Want For Christmas Is You from Highland Press.Can be purchased separately as an ebook. A short story in a Christmas anthology entitled: All Wrapped Up published by Highland Press.